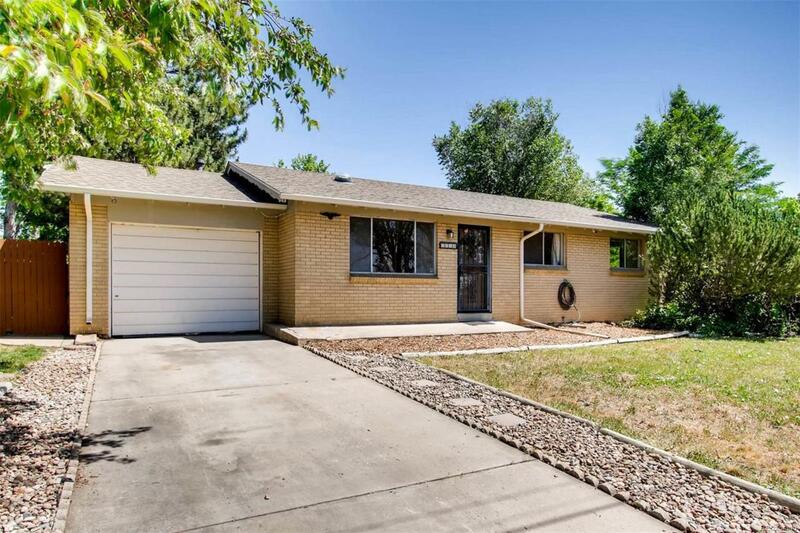 This corner lot home presents a great opportunity to live close to Olde Town Arvada, parks, shopping, highways, and light rail stations. It has solid bones, plenty of living space, storage space, and entertaining space as well. Special features include fresh mulch & rock in front, hard wood floors, new roof, new gutters, new furnace, new water heater, some fresh interior paint, central A/C, attic fan, new microwave, private back yard, and an open field across the street! What a convenient location! Offered by Mb Fanning Realty And Assoc Inc.